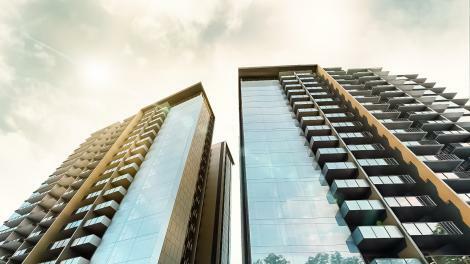 With nine 18-storey towers of one to five-bedroom homes, Parc Esta rises majestically above the streetscape on a nearly 3.5-hectare estate. 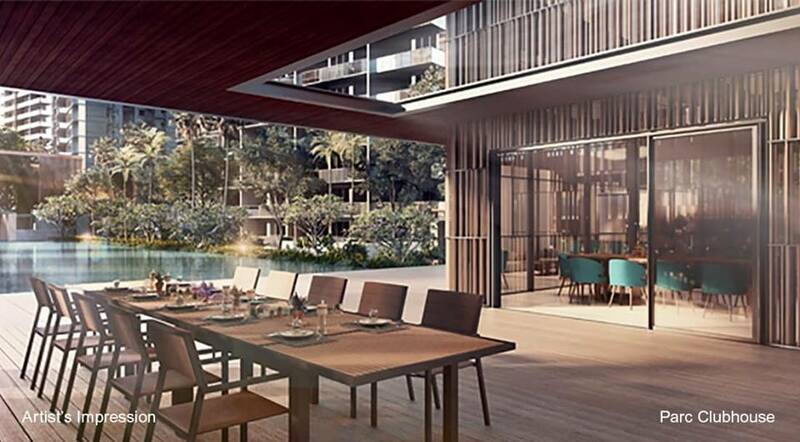 Discover premium residences with refined touches, sumptuous realms with exciting facilities in a more than 200-metre-long garden and waterscape, and a myriad of nearby amenities that highlight its unrivalled location. 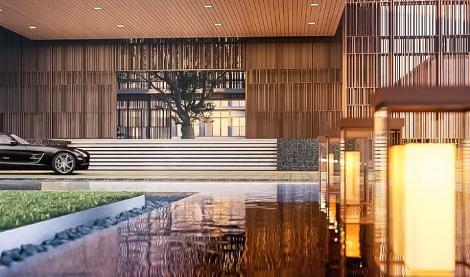 Designed to turn heads, Parc Esta is elegance and grandeur articulated from the moment you arrive. 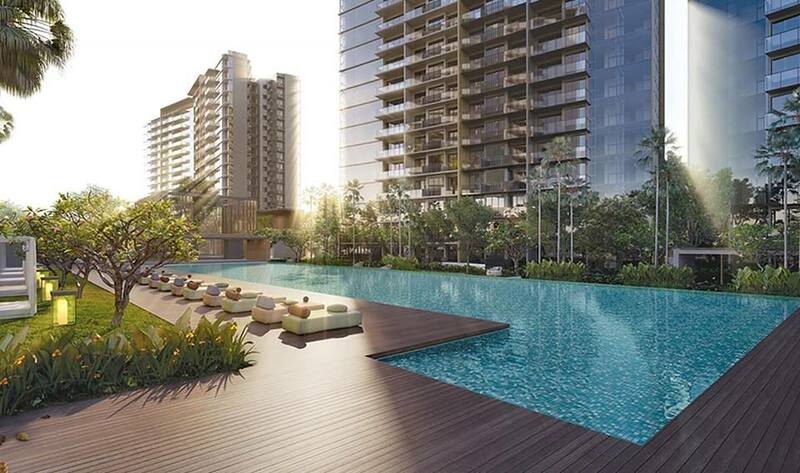 Perched on a sweeping estate, Parc Esta is the new residential landmark in the East. Designed for sophisticated urban living, the towers are spaced generously apart from one another to give residents a heightened sense of privacy and seclusion. 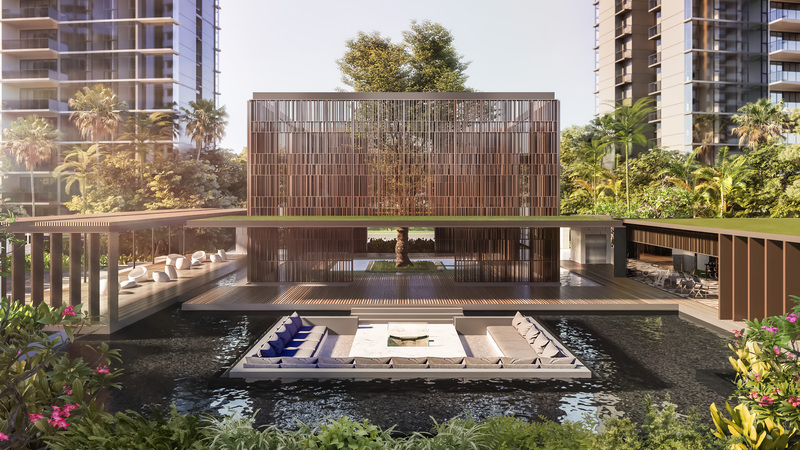 Featuring stunning full-height glass façades, this architectural fascination frames the setting for 1,399 luxurious homes in a modern sanctuary of refined living. 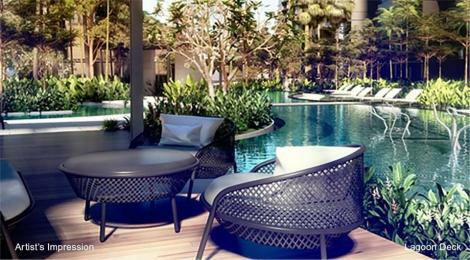 Live your dreams amidst luxurious indulgences, tranquil havens and a spectacular oasis. Elegance and grandeur are words that will fill your thoughts once you have fully experienced Parc Esta – from the moment you arrive until its full brilliance is revealed. 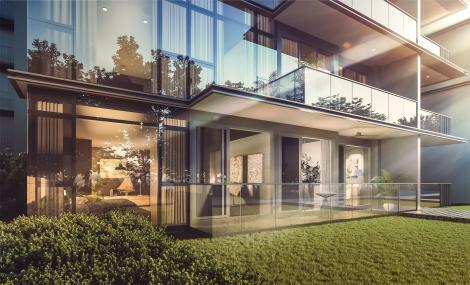 In this modernist architectural home, the 18-storey towers are each crowned with a striking lantern-inspired feature. Come nightfall, they light up and transform into shimmering jewels, adding a unique character to the skyline. Nearly three-quarters of Parc Esta’s sprawling estate is dedicated to bringing together three sumptuous realms in one idyllic residence. 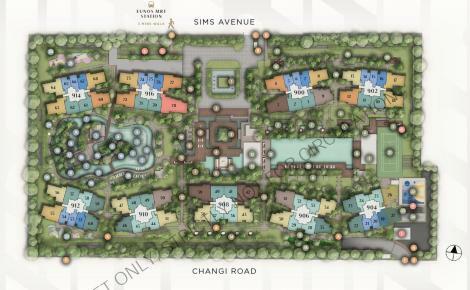 Each one is full of distinct character to create interconnected worlds that deliver transformative experiences. 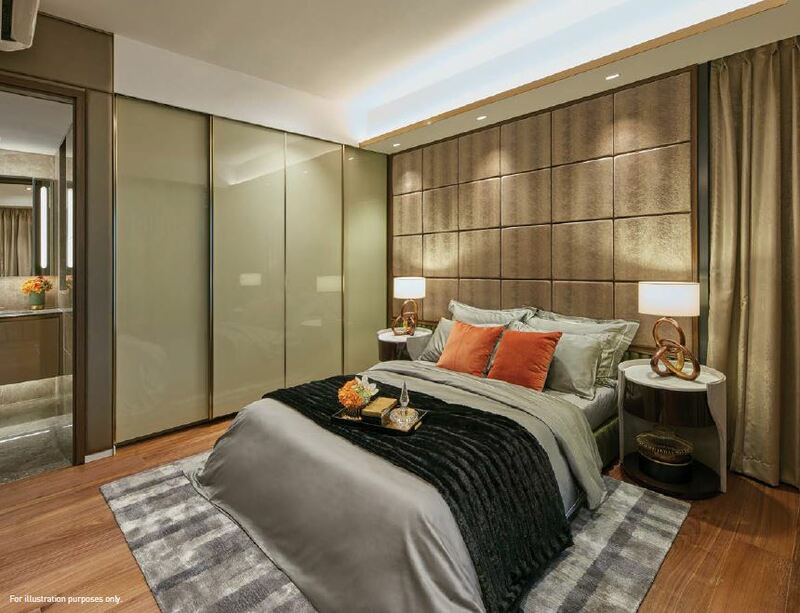 Everyone will find an immersive space to indulge in. Enter an exquisite residence that reflects the grandeur of luxury hotels. 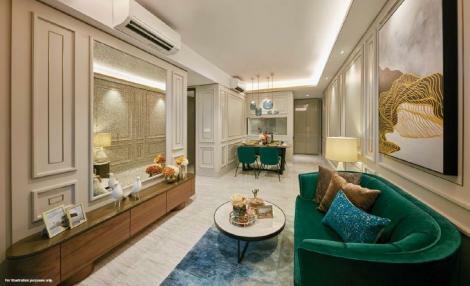 Be welcomed by the soothing ambience of calm waters lined with bespoke lights at the Lantern Isle. 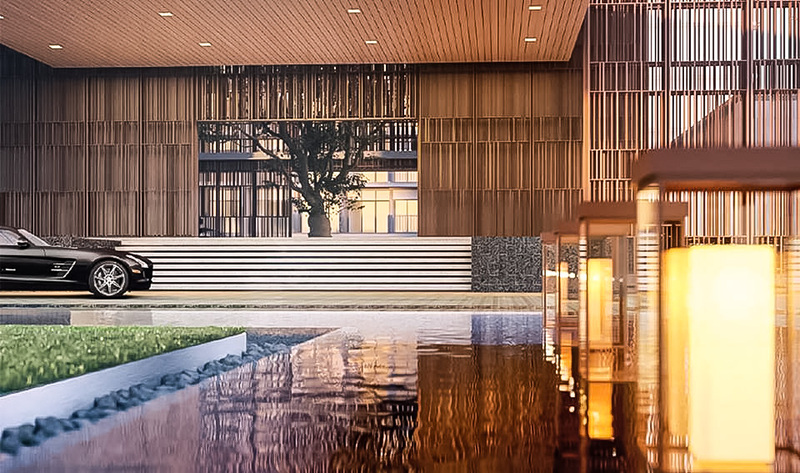 Drive up to a grand foyer and be greeted by a stately arrival hall where luscious openness and elegance flow throughout the expansive Signature Arrival Court. As you ascend the elegant stone steps, be held captive by the serenity of a picturesque atrium and let the enjoyment of coming home to an unforgettable dwelling linger. Escape to a haven echoing the delights of far-f lung retreats. Here’s an exclusive tropical oasis just steps from your front door. 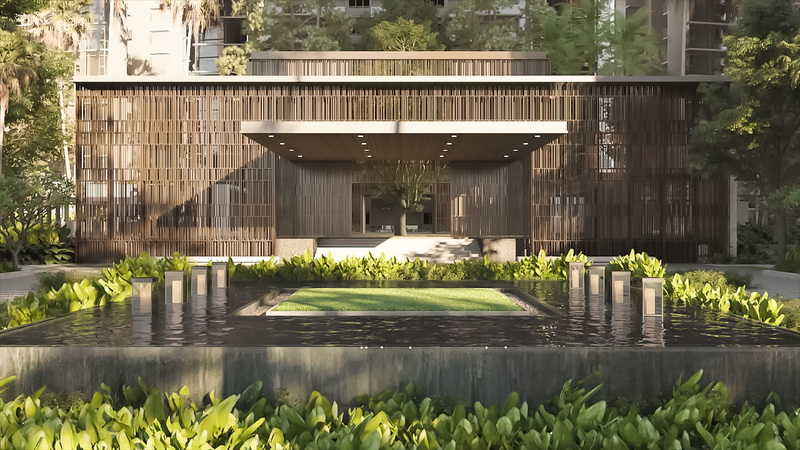 You’ll sense it in the openness and quietude, the rhythmic rustling of green leaves, the charm of rustic woodworks, the calming turquoise waters of the 50-metre pool, and the inviting poolside dotted with pampering cabanas, chill-out lounges and so much more. A 360-degree lagoon dancing to its own spir ited rhythm. Cradled by lush terraced landscaping, your Family Lagoon is teeming with activities that are rare to find in one development – from pool amusements to waterfront revelries, BBQ parties to children’s celebrations, water fitness to quiet lounging with nature. 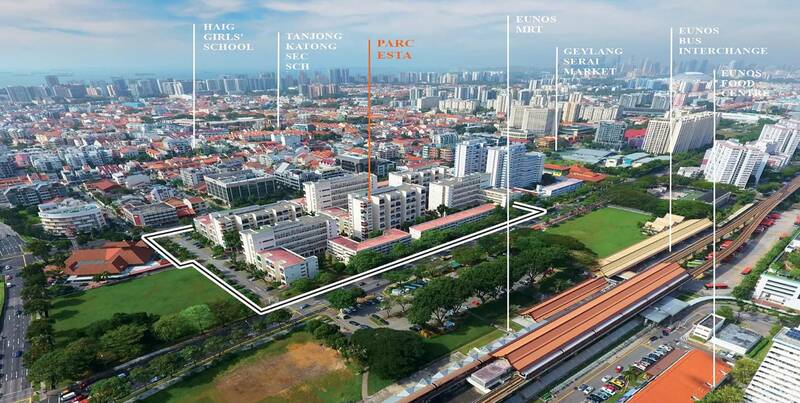 Conveniently located at the site of former Eunosville HUDC, Parc Esta is only a short walk (less than 200m) to the Eunos MRT Station. 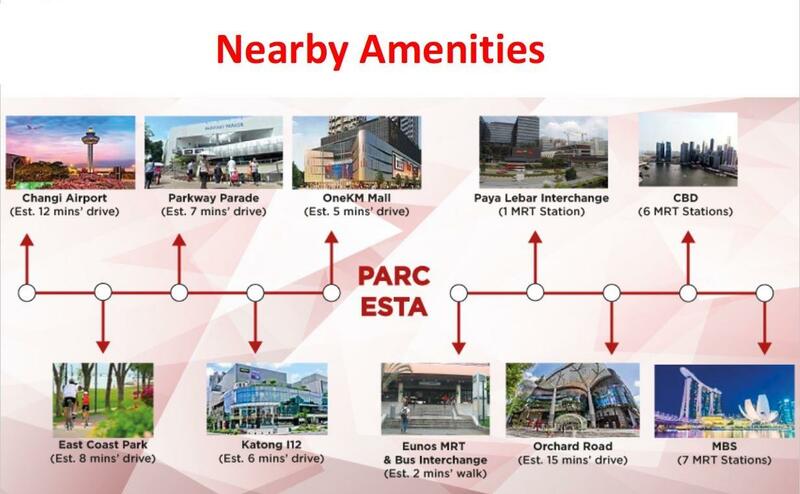 The bustling Eunos Bus Interchange is a 5 minutes walk away, making travelling easy for residents. Parc Esta makes it ideal for residents by connecting them easily to the Expressway Networks such as Pan Island Expressway (PIE), East Coast Expressway (ECP). Reach your destination with ease. 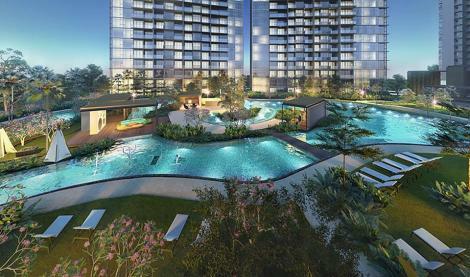 Be among the new East-urbanites in a charming district of exciting rejuvenation. An idyllic mix of nurture, nature and adventure. 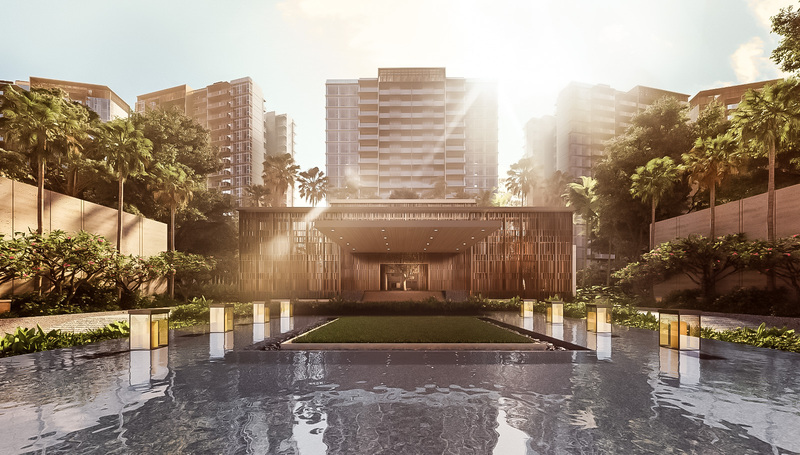 Offering a holistic approach to your everyday getaways, Parc Esta ensures you can check fitness off your list even while you’re at the lagoon. 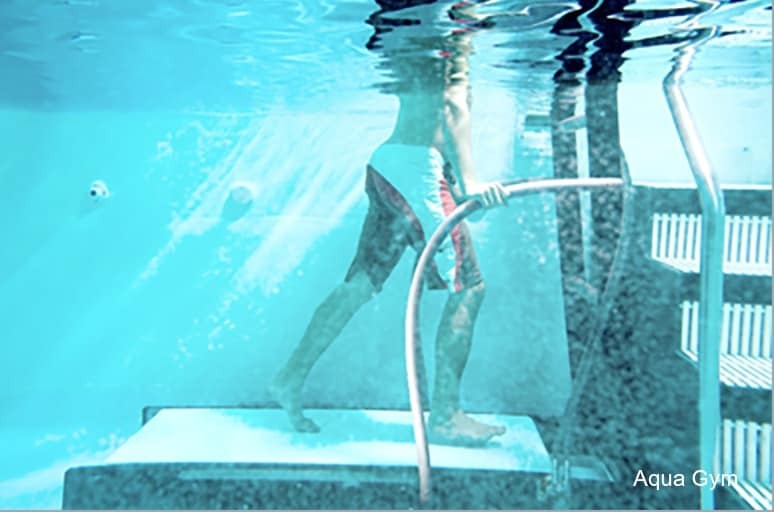 The Aqua Gym is integrated into the pool with state-of-theart facilities. You can follow it up with a more intense workout at the Outdoor Multi Gym, which is equipped with a wide variety of weights, benches and cardio fitness equipment. The best indulgence is to do absolutely nothing. 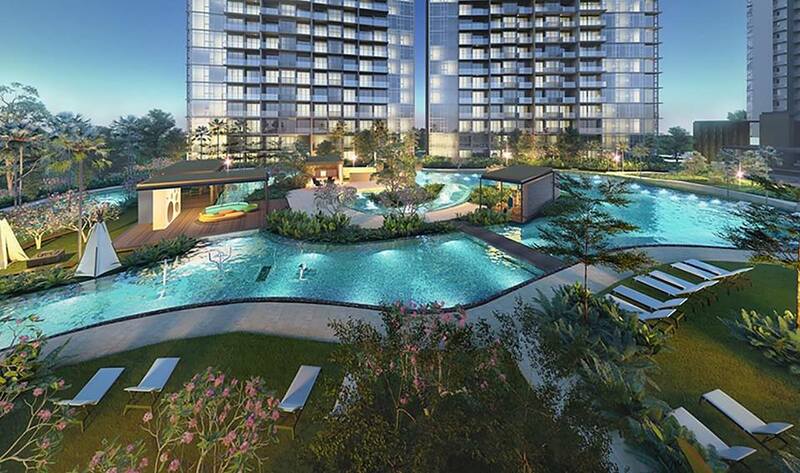 Do it in style at Parc Esta. Find your favourite spot at the Cosy Lounge, Lagoon Deck, Sun Tan Loungers and Lawn Loungers. Or indulge your senses, and your green thumb, in the lush surrounds of the Herbs Garden. 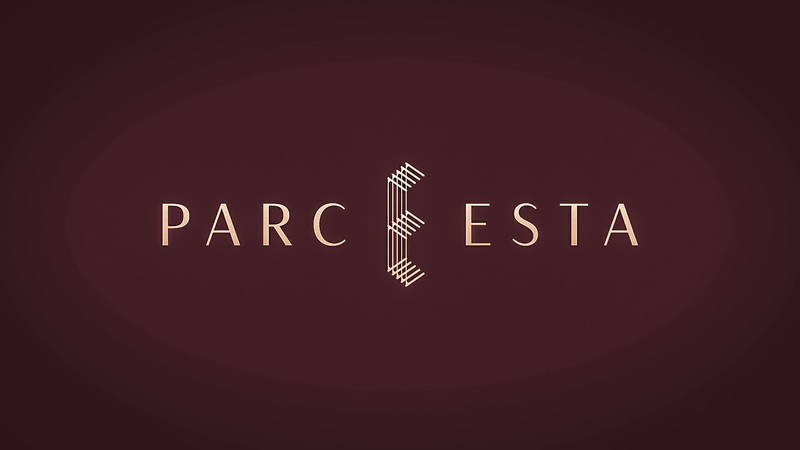 As the beacon of suburban development moves eastwards, Parc Esta stands poised on the threshold of a myriad new developments — existing and soon to come. Leisure and work facilities, healthcare and transport, they all fall within easy access to this highly investable destination. 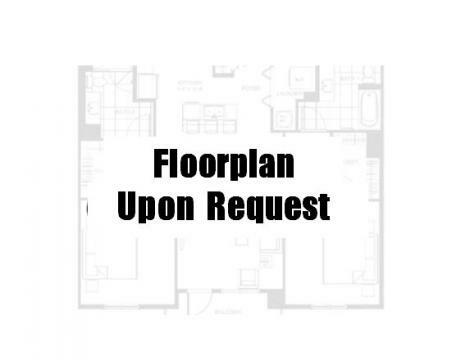 Discover a variety of layouts that will enrich your personal sense of space. Clever spatial planning reveals homes that are open and generous in scale, of fering natural light and a sense of intimacy with the surroundings. Every unit from one to five-bedroom residences has a balcony or private enclosed space that opens out to vast unhindered views. Every detail delivers smart, modern living. A richer experience awaits you. The spacious bedrooms offer design cues with great attention to detail to create a calming experience in an organic, fresh environment. 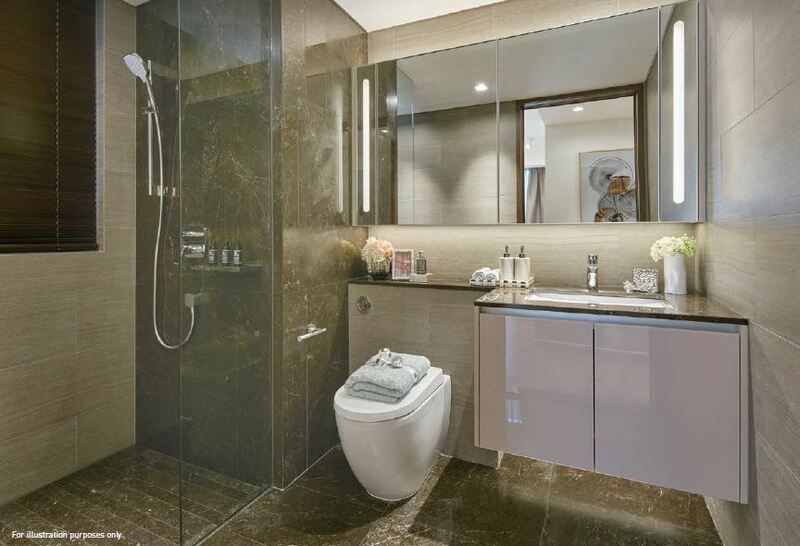 Wherever you look, you will be reminded of luxury and exclusivity. 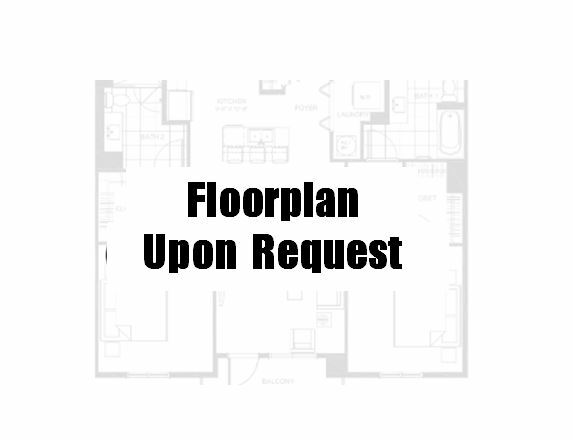 There is a private lift for all five-bedroom apartments, which are equipped with upscale comforts including wet and dry kitchens. 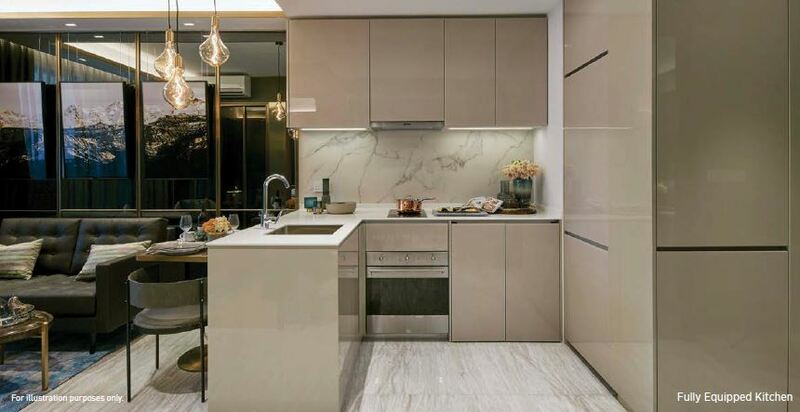 At Parc Esta, premium quality materials, exquisite fixtures and fittings, and the latest technology create outstanding living spaces that combine timeless sensibilities with contemporary desires. the way to the immaculate bathrooms. 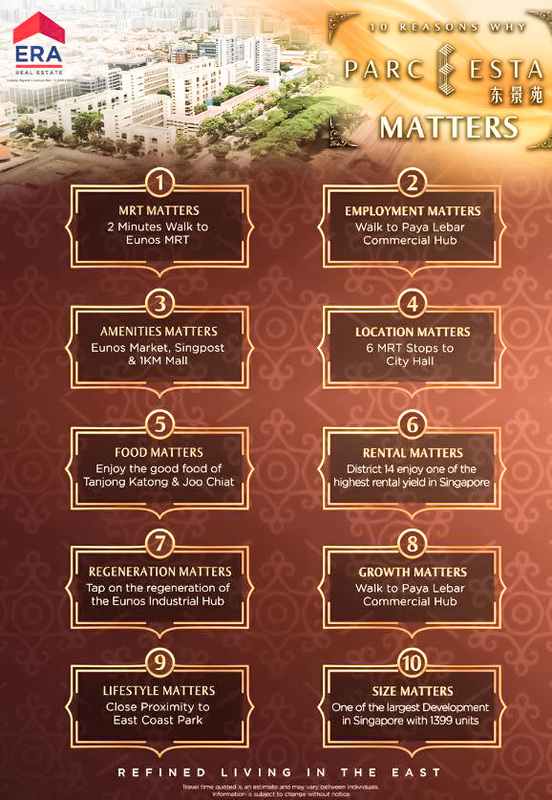 Shopping, entertainment, dining and recreational facilities located in Paya Lebar, East Coast and Katong are conveniently within reach. Parc Esta is only 10 minutes’ drive away from the Central Business District. 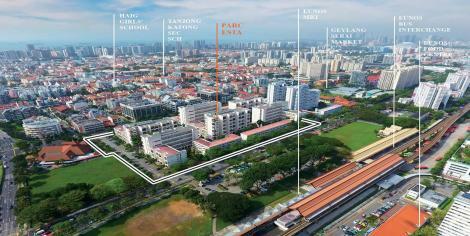 Numerous renowned schools such as Haig Girls’ School, CHIJ (Katong) Primary School and Tao Nan School are located in the vicinity too.